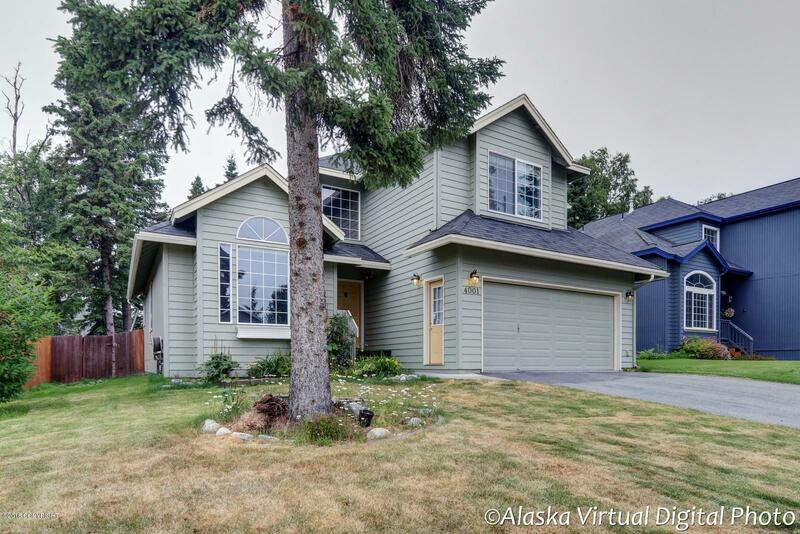 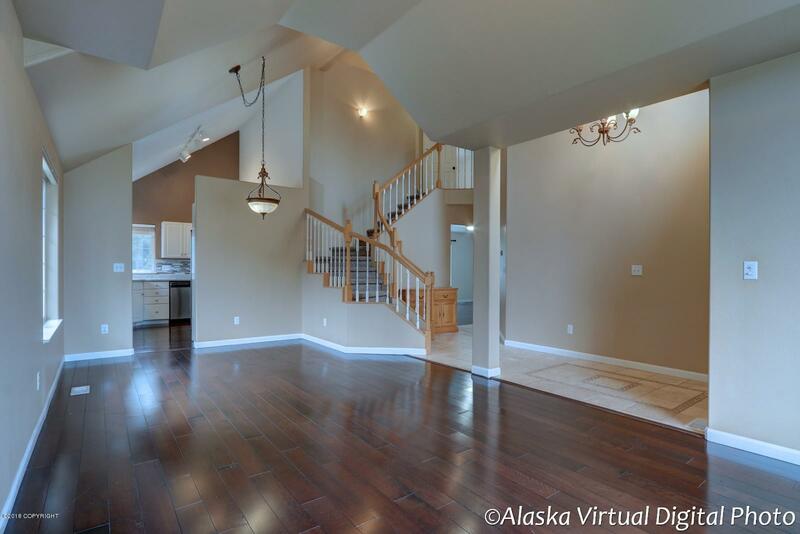 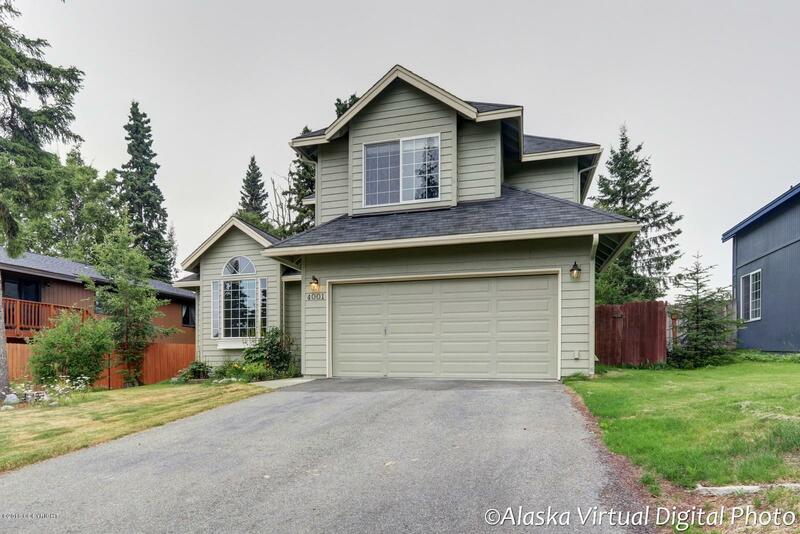 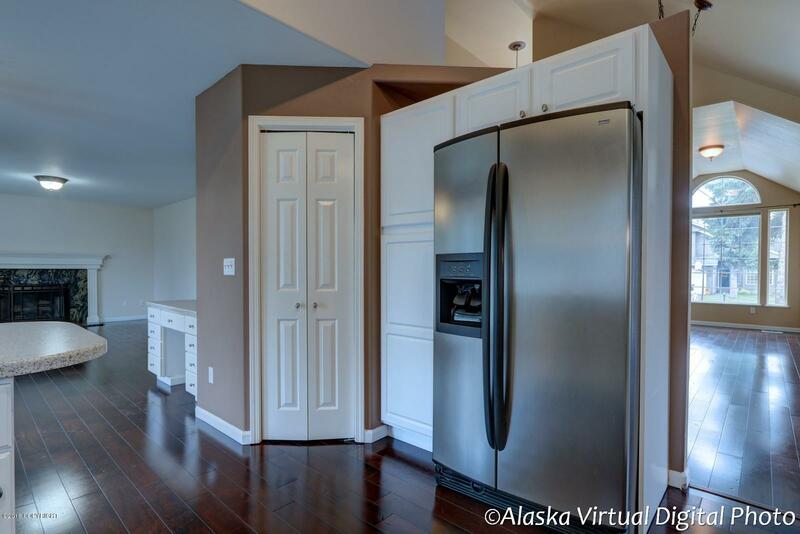 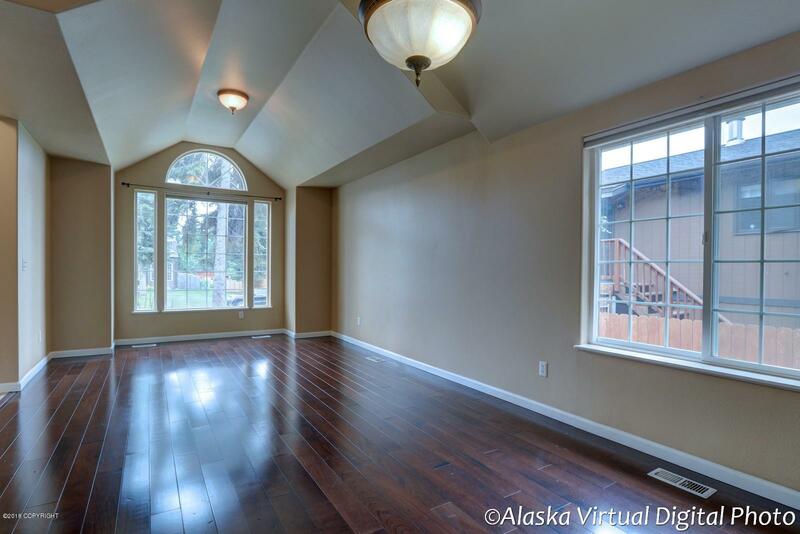 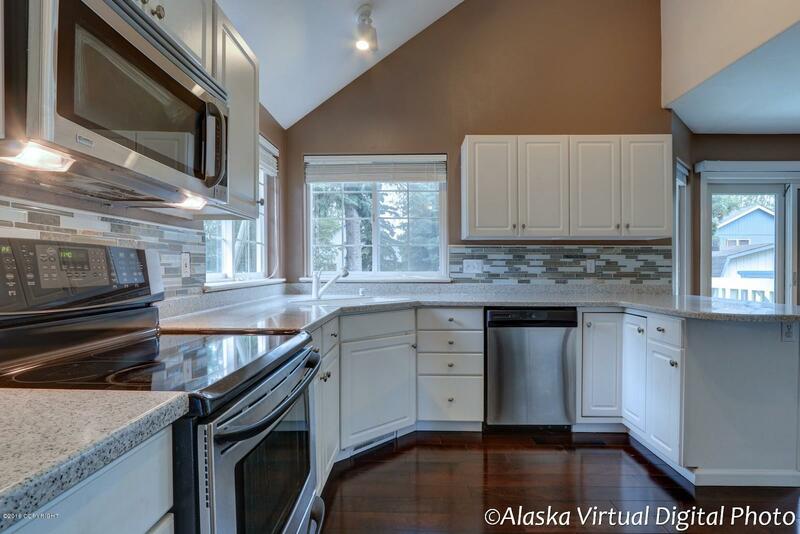 Beautiful home in a quiet South Anchorage neighborhood. 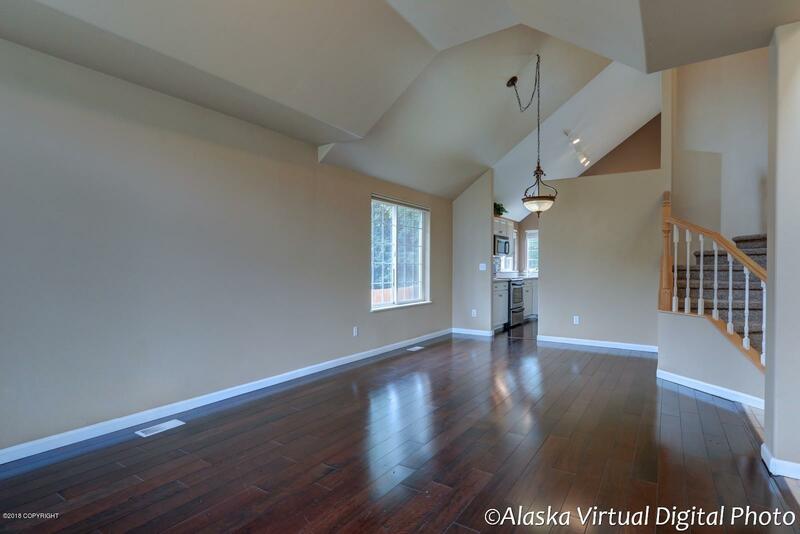 Home features sky high vaulted ceilings with a tiled entry and wood flooring throughout the living and kitchen. 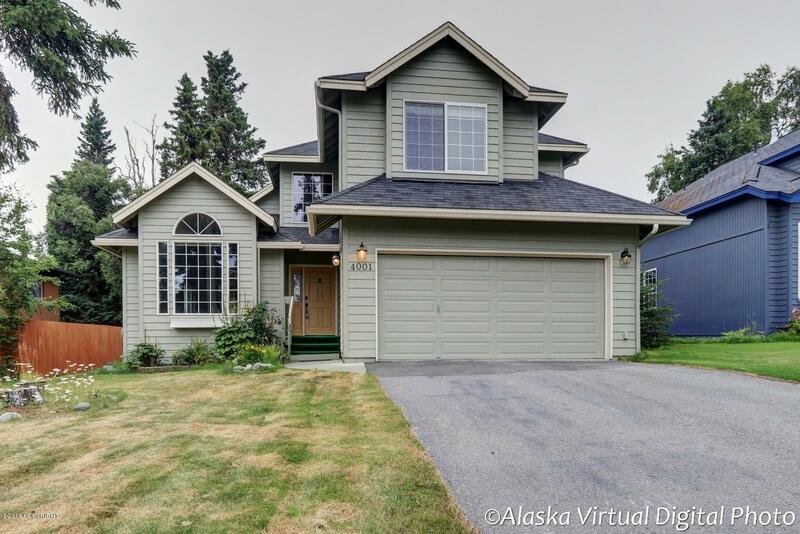 Fresh exterior paint 2018, new carpet thoughout also in 2018. 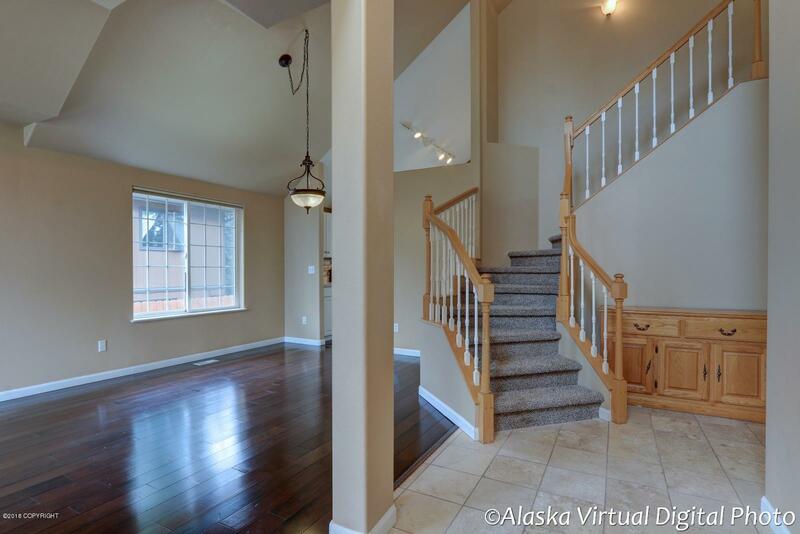 Winding staircase takes you upstairs. 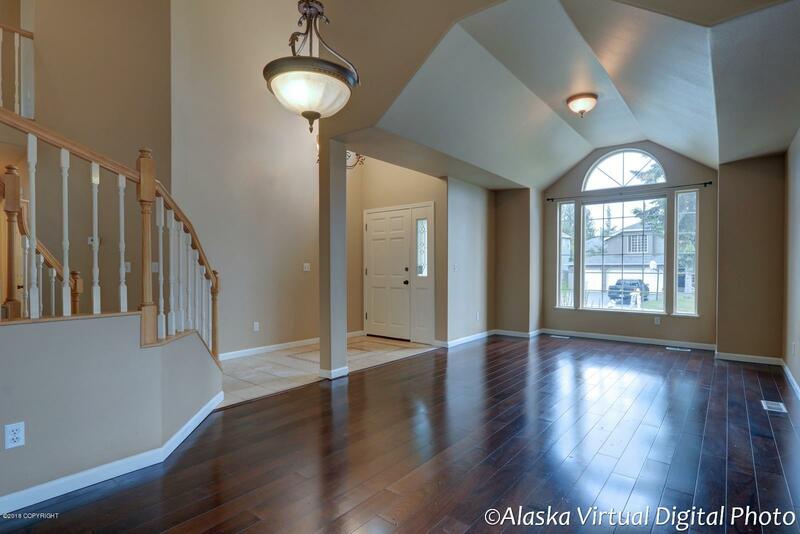 French doors welcome you into the master suite with soaking tub, stand up shower, walk in closet and his and her sink.